Install the Recovery Console from the Windows XP Service Pack CD, if you have one. 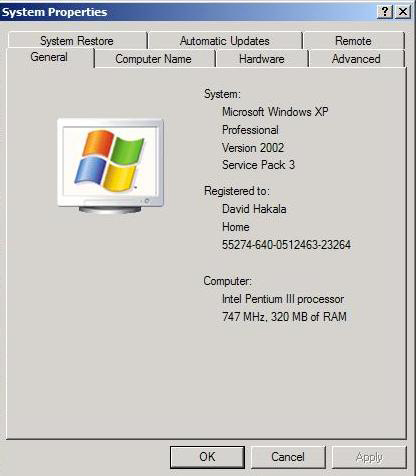 Install Windows XP, then the Recovery Console, then the Service Pack, if you are re-installing Windows. Create two new folders on your boot drive. For example, C:\XPCD\i386 and C:\XPSP. Copy the files from the i386 folder of the Windows XP CD to the folder C:XPCD\i386. Download the Windows XP Service Pack network installation package to C:\XPSP. Google “Windows XP Service Pack network installation package” without quotes to find links to the appropriate Service Pack. Click Start, Control Panel, System and choose the General tab. It will show the operating system and version, i. e., “Windows XP Service Pack 2”. Click Start, Run, and enter cmd. The Windows Service Pack Setup Wizard starts and notifies you that the Service Pack files are being integrated into the Windows XP installation folder. Follow the instructions in Setup Wizard. This will update your Windows installation to the Service Pack and allow you to install Recovery Console.